appeal filed by Centre against a Delhi HC ruling that allowed filing of I-T returns for AY 2018-19 without linking Aadhaar with PAN. First off, log on to the Income Tax e-portal. 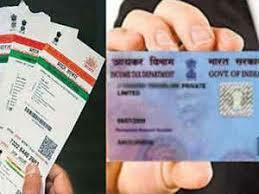 Apart from the online method, users can also link their Aadhaar with PAN, using SMS service. To do so, type a text message in this format: UIDPAN (space) 12-digit Aadhaar number (space) 10-digit PAN, and send to 567678 or 56161 from your Aadhaar-registered mobile number.